Small Islands Developing States (SIDS) have a rich cultural and natural heritage, yet this is not currently fully reflected in the World Heritage List. Between 2011 and 2016, SIDS States Parties to the World Heritage Convention have strengthened their capacities to identify and safeguard their heritage through the project "Capacity Building to Support the Conservation of World Heritage Sites and Enhance Sustainable Development of Local Communities in Small Island Developing States", supported by Japan. As a result, the number of World Heritage properties in SIDS has increased significantly from 28 to 34, and 10 States Parties (out of 36) have updated the Tentative Lists. However as at 2017, 3 properties are on the List of World Heritage in Danger and 13 properties have been subject to the State of Conservation reporting to World Heritage Committees. Therefore the objective of the proposed project is to strengthen the capacities for the management and monitoring of cultural, natural and mixed heritage in SIDS States Parties. 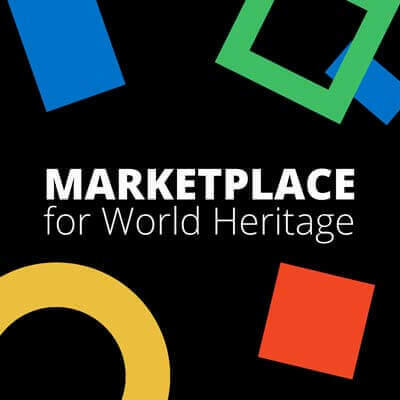 According to the “Operational Guidelines for the Implementation of the World Heritage Convention” (OGs), every site inscribed on the World Heritage List must have a management plan explaining how the outstanding universal value of the site can be preserved. It also recommends that “States Parties include risk preparedness as an element in their World Heritage site management plans and training strategies” (OGs. Para.118). Yet many world heritage properties in SIDS do not have a management plan and/or a risk preparedness plan. SIDS are particularly vulnerable from climate changes, natural disasters, and their World Heritage properties have been suffered and damaged. Natural disaster tends to happen more often, and in irregular seasons and places in recent years. E.g., 15 named storms and 7 hurricanes formed in the Atlantic Basin in 2016, the most since the 2012 season. Thus it is important more than ever to prepare for the risk and to plan for recovery. Special geographical situation and their immense natural and cultural richness make SIDS unique tourist destinations. The number of international tourists visiting SIDS destinations increased from 28 million in 2000 to 41 million in 2013. In the same period, exports from tourism grew from US$ 26 billion to US$ 53 billion. At the same time, confronts them with a number of challenges and vulnerabilities, such as coastal management and the safeguarding of oceans. Investing in sustainable tourism in the SIDS is an essential path to ensure that the sector continues to advance socio-economic welfare while protecting their fragile ecosystems. management plans for World Heritage sites, i.e. assist them in the design, content, structure and presentation of such plans. risk preparedness plans through identifying, assessing and designing mitigation measures. tourism management plans in order to promote sustainable tourism for sustainable development. Staff working in the heritage sector will receive training in understanding the objectives of implementing the World Heritage Convention, and on issues such as heritage management, risk preparedness, post needs assessments, recovery planning, as well as visitors management. As an exercise after the course, the participants will be requested to further develop the management plans including risk management plan and sustainable tourism strategy for their SIDS properties, in consultation with stakeholders at the national level. The main principles of the management plan, including risk management plan and sustainable tourism strategy, are understood and applied by site managers, management teams / agencies / organizations at their own sites. Site managers, management teams and agencies and organizations that are the direct stake in the management of a heritage property in SIDS are the beneficiaries to the project. It can also be adapted and applied by other stakeholders, depending on their mandate and responsibilities. The Action Plans for World Heritage in the Caribbean (2015-2019) and in the Pacific (2016-2020), which were developed and adopted by the States Parties concerned before being endorsed by the World Heritage Committee, identified not only conservation and management, but also risk management and sustainable tourism among the high priorities. “UNESCO SIDS Action Plan 2016-2021” developed by UNESCO (199 EX/Decision 5) responds to the SAMOA Pathway, an outcome document of the 3rd International Conference on SIDS, in view of protecting tangible heritage, transmitting traditional knowledge are crucial for driving sustainable development. To this end, it is foreseen to enhance cooperation in the sustainable management and conservation of World cultural, natural and mixed heritage sites in SIDS, paying particular attention to risk management and the protection of biodiversity and ecosystems is proposed (Action 2.2 of UNESCO SIDS Action Plan). An estimated overall extra budgetary funding of US$ 500,000 is needed for the implementation of this activity. These funds will cover capacity building activities for 16 Caribbean States Parties and 14 Pacific Small Island States.